Your shower is usually a place that you either begin your day in or end the day in. 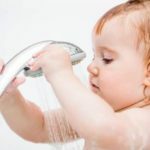 For this reason you should really consider investing in a great looking and high quality shower fixture and faucet to ensure each showering experience is outstanding. When it comes to choosing a shower trim the Delta Faucet shower trims are based on a brand that aims to make use of water that will transform how people feel in their daily lives. Each of the Delta products are engineered beautifully with their consumer-inspired unique innovations such as the Touch2O Technology that allows you to activate or turn off your faucet with one touch that allows you to get your water where you want it with the use of integrated hand shower and shower heads. 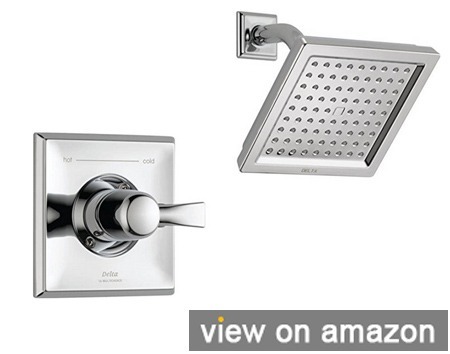 1 How To Choose The Best Shower Trim? How To Choose The Best Shower Trim? 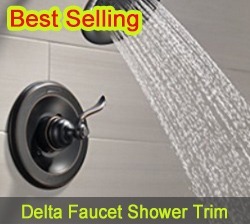 The best types of shower trims such as the Delta Faucet shower trim is also recognized as the decorative part in regards to shower heads, tub sprouts and shower valves. 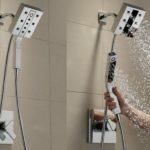 When you buy shower valves or anything which requires shower trims, it becomes an important task to check on the various designs, styles and materials. 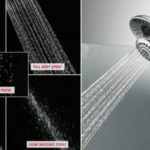 The more common choices are based on that the design and style of your shower trim matches up to the design of the shower valve or shower head. These typically feature the same colors and material. However, if you are looking for more stylish and extravagant looks you can also choose a combination that you prefer. When it comes to choosing a shower trim, most people prefer to start with the controls better known as the trim, which is attached to the wall before going onto the actual valve. You will obviously require both, but it is best to start with your trim. Most of the showers or bath/showers will feature a manual-trim. If you bathroom features a stand-alone shower, the typical shower features a manual trim and showerhead. When it comes to designing the shower of your dreams you can choose the trim and components yourself or you can choose from the prepackaged kits that will contain everything that you will need. The Dryden Collection features geometric forms and clean lines. The T14251 Dryden Monitor derives it style from the period of Art Deco and provides a sophisticated yet simple design which when combined with one of the various finish options, offers a flexible style which means this is the type of collection that can fit into just about any home setting, which includes modern, crafty and old fashioned. The Dryden Monitor 14 Series in Chrome offers a truly striking appeal to any type of bathroom with sufficient versatility to match just about any décor you already have in your bathroom. While the Pressure Balance Valve ensure the temperature of your water is always within a safe zone of around 1.7 degrees Celsius. This ensures that you will never suddenly experience a possible and sudden change in the temperature of the water from a result of water that is running elsewhere in the home such as a washing machine, running faucet, flushing a toilet or a dishwasher. ♦ You can turn the lever Up and to the left (from cold to hot – counter-clockwise). 120° maximum handle rotation. This unit controls temp only and not volume. ♦ The “HF” is “high flow” for when you are running multiple items at once. It is designed to be used with a diverter and multiple items. It can not be used as a tub as the bottom port is sealed by the factory. The Touch-Clean Spay Holes provide a way to wipe and clean away lime or calcium build-up easily. You can complete your unit using the Delta MultiChoice Universal Valve which offers you with a way to upgrade the functionality and style of your showers if you wish to into the future without the need to alter plumbing behind your walls. This system will necessitate that the inlet-water temperature is set correctly and the system may need seasonal adjustments. Out of customer reviews on the Delta Faucet Dryden Monitor 14 Series T14251 Shower Trim, the product has received a rating of 4.3 stars out of 5. Most customers have mentioned they are truly impressed by the quality and performance of the product. Out of the very few negative reviews, one customer mentioned that it is difficult to keep fingerprints off the shower trim and there is no availability for a drain matching hardware. Water temperature is perfect everytime. No changes in water temperature when water is used elsewhere in the house. The Windemere Bath Series features sculpted curves that bring a magical touch to any shower that offers exemplary performance and alluring charm. The Monitor Pressure Balance Valve makes sure the temperature of your water remains in a safe zone eliminating the chance of a sudden change in your water temperature due to water that runs elsewhere in your home such as running dishwasher, washing machine, faucet or flushing toilet. This Monitor 14 Series Shower Trim in an Oil Rubbed Bronze features the WaterSense Certified feature which means that is uses around 20% less water when compared to the industry standards. At the same time this feature does not compromise the performance of the unit which means you can indulge longer for the ultimate showering experience while at the same time saving on your water bills. 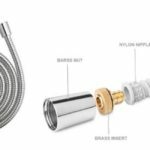 ♦ This kits includes both the shower head, pipe / trim that connects the shower head, the faucet handle, the trim piece behind the faucet handle and the valve cartridge (mixing valve for hot / cold water). The plumbing ‘rough-in kit’ that the water lines connect (hot, cold & shower head) is not included. The Touch-Clean Spray Holes provide an easy touch feature that allows a way to wipe away lime and calcium build up. Consider completing your unit by adding in the R10000-UNBX (Delta MultiChoice Universal Valve) which offers a flexible method to upgrade your functionality and style of your bathroom in future years without the need to change the existing plumbing you have behind your shower walls. Out of the customer reviews the Delta Faucet Windemere Monitor 14 Series -Shower Trim- Oil Rubbed Bronze received a rating of 4.4 out 5 stars. Out of the positive reviews many customers have mentioned that the product is well constructed and heavy duty and that the valve is easy to adjust and operates smoothly. Out of the negative reviews a few customers have complained about the efficiency of the water pressure produced by the shower heads. The unit is very heavy duty and well constructed. The valve operates very smoothly and is easily adjustable for the temperature of the water. Nice sealing from the valve to the wall and solid movement inside. The finish is consistent with the price and quality you would expect at this price point. The In2ition is the Two-In-One Shower which provides a way to get your water where you want it the most. You can choose to use the integrated hand shower and shower head separately or use the two together that maximizes flexibility while you don’t have to sacrifice on warmth. This particular model derives its inspiration from nature that is compared to a tree that features reaching branches, this Linden Bath Collection boasts unexpected curves and stylish flares which translates into an extremely versatile complement for classic, modern and traditional décor. The 4-Setting Linden 17 Series Trim Shower with In2ition in Venetian Bronze Two-In-One adds a striking appeal to any type of bathroom. 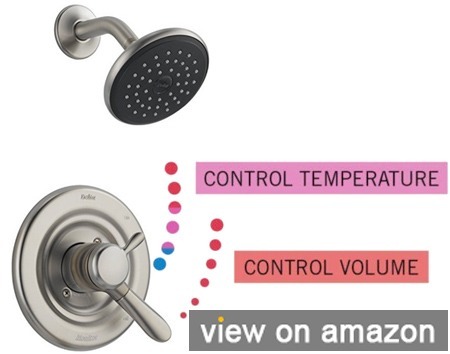 This product features dual-function valves which offer you with the ultimate control over your showering experiences with the abilities to adjust your water volume and temperature independently. The Linden Bath Collection also comes with a 69″ long Ultrahose that offers flexibility and reach and the 4 spray settings provide a way to adjust how you experience your shower with a basic switch. The full-body spray was created in such as way that it offers full-coverage that is ideal for all types of shower needs. When you use the full-body spray the massage feature lets off a pulsing and invigorating massage without losing out on full-body coverage warmth. This invigorating massage loosens your muscles, massages your scalp and envelops your entire body in a warm and comforting rainfall. When you choose the fast-spray massage it emits pulsing and strong stream which resembles rigorous taps that are used in the Swedish massage techniques, while the pause-function allows you more than enough time to lather up, shave or conduct any other types of showering tasks. You can then restart the shower easily at the same temperature. 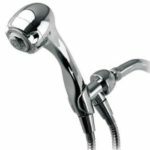 ♦ The Delta Faucet Linden Monitor T17294-RB-I 17 Series Trim Shower Only With the In2Ition received mixed reviews with a rating of 3.7 stars out of 5. Some customers have mentioned that the unit is very easy-to-use and is a great addition to any shower. 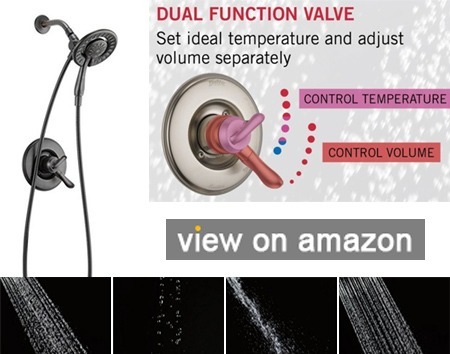 Other customers mention that the off and on temperature-control handle works well, however, the shower head seems to be flimsy and the head does not stay at the angle you position it at. Installation was simple, everything included in the box was clear. The entire system came with this particular item, even people with no previous experience, can install. Control of the water temperature and water flow is very good. The water pressure is strong, it can be stronger or gentle depending on how you control it. The Lahara Bath Collection is compared to the rolling waves of the ocean along with sleek and stylish curves that offer a really lasting impression. The 17 Series Shower Trim that features a Brilliance Stainless Steel finish offers a really eye-catching finish to your bathroom and offers you with full-control of how you like to shower with the abilities to adjust the volume and temperature of your water independently. The Stainless steel finish has been designed to resist discoloration, tarnishing and corrosion for a stunning appeal that really lasts. The Delta Faucet Lahara Monitor 17 Series Shower Trim T17238-SS, Stainless Steel finish has received many positive reviews and has received a rating of 4.5 stars. Most customers have mentioned that shower system offers the ideal spray and size pattern while thermostatic valve offers the ultimate luxury. ♦ Out of the very view negative reviews one customer did mention that the finish of the product is dull and discolored quickly, while the directions to install the product was inadequate. 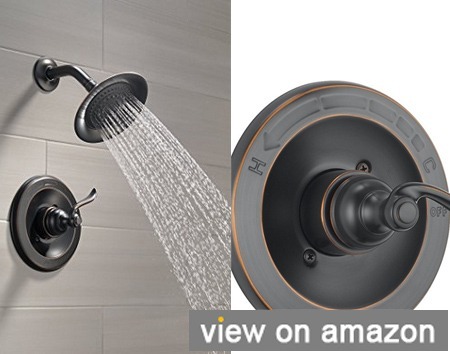 ♦ This is definitely not a massager shower head. The shower feels relaxing but doesn’t make me feel like it’s taking longer for me to rinse my hair than our former more forceful showerhead did. 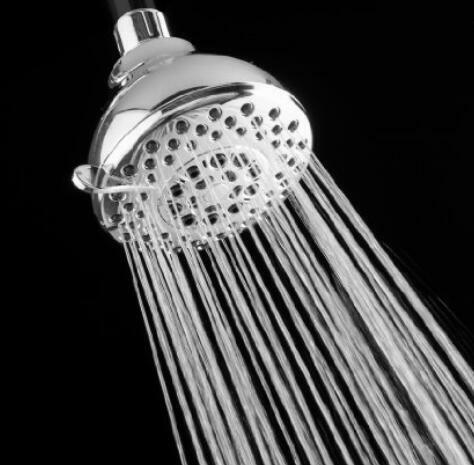 The shower head is nothing fancy, but that’s the beauty of it. Just the perfect size and spray pattern. The large handle is solid metal and feels great but small handle for the thermostatic control is metal finished plastic and clips in. 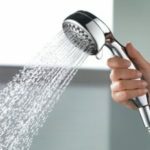 This shower head allows water to flow comfortably but not forcefully, and it has a nice upgrade with good coverage and power relative to our prior head as well.